The head of his herd. 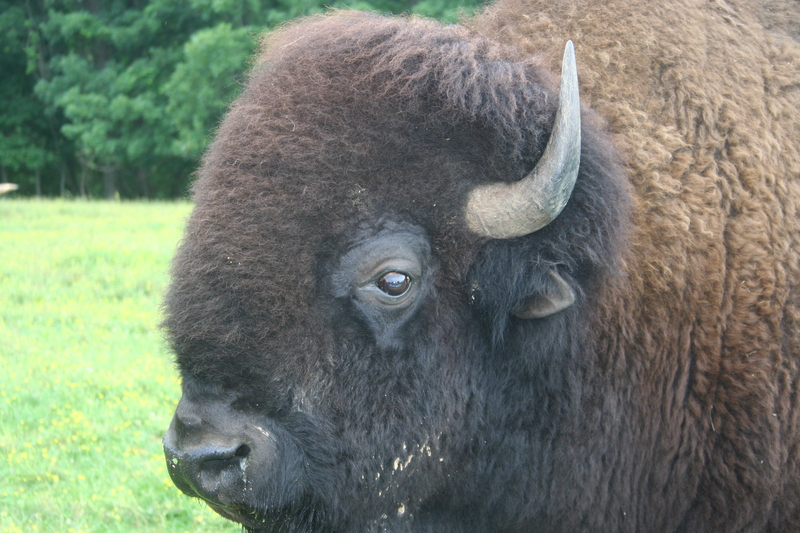 American Bison (Bison bison), commonly called buffalo or American buffalo. These magnificent animals once roamed in huge herds across the Great Plains of North America. A combination of circumstances (mostly human) brought them to near extinction, but careful conservation has brought them back in large numbers. We have usually had a small group of these beautiful monsters.